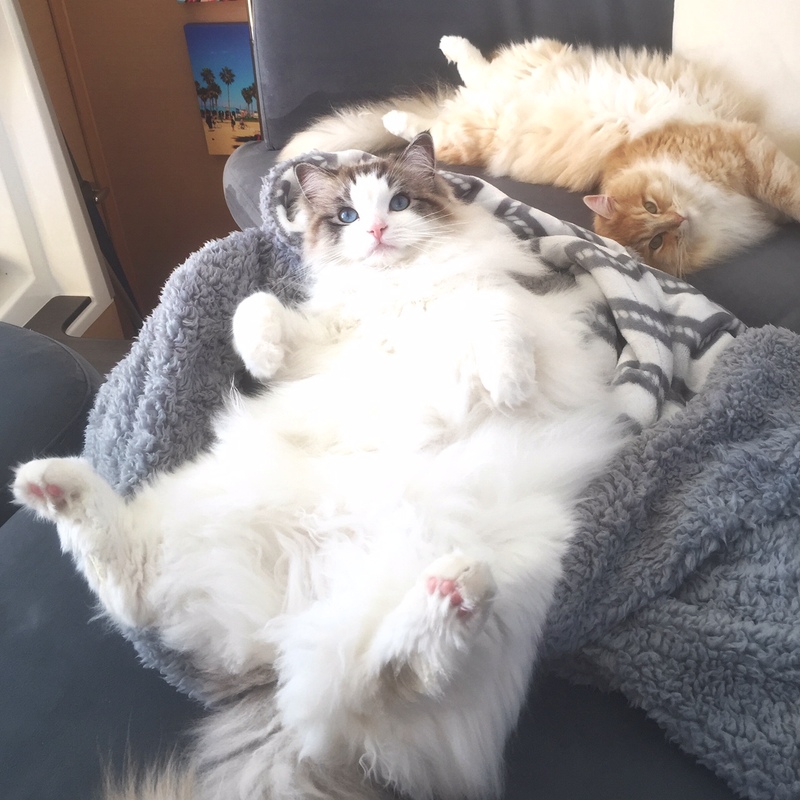 Caturday Connections – Pumpkin and Marine! This week I’m very excited to introduce you all to the dashingly handsome Pumpkin and his beautiful sister Marine! A huge warm welcome to you both! Hello! I am Pumpkin (a boy) and I have a pretty sister Marine. 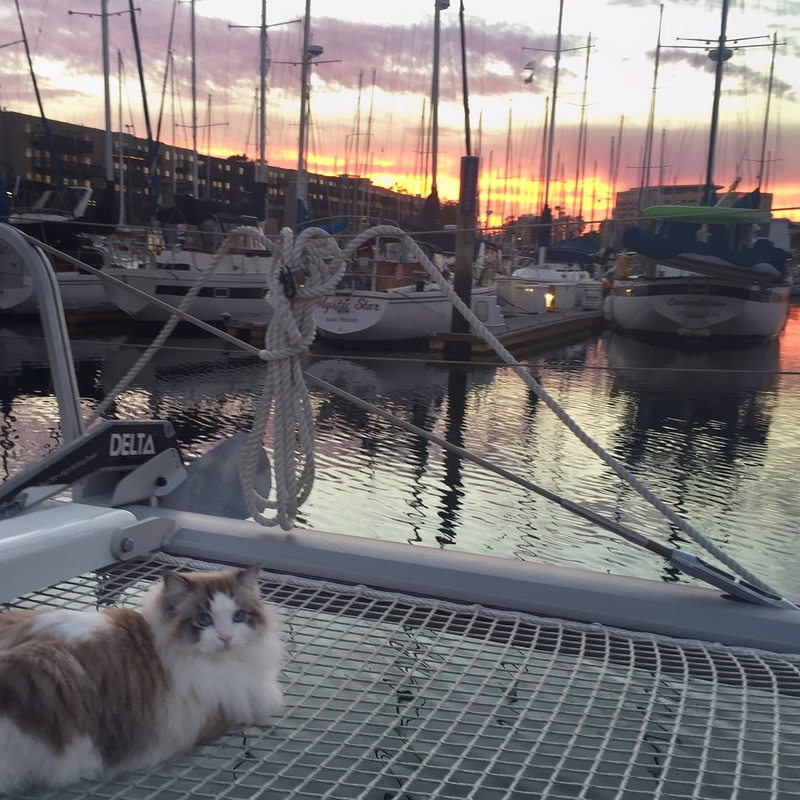 We are only 1 years old and live on a catamaran in Marina Del Rey since August 2015. We are very talkative kitties who love to cuddle! Meow! 2. Who do you live with? How did you choose your humans? We live with our mom and dad who work for the airlines. Our mom saw pictures of us online and flew to Phoenix to adopt us. I guess we charmed her with our fluffy cuteness! 3. How do you spend an average day on the boat? In the port side forward hatch we have a cool “kitty condo” on the boat that is our very own space. It’s hooked up with beds, blankets, food, water, litter, etc. In the morning we roam around the boat, watching the birds, eating, and cuddling with mom and dad while they have their coffee. In the afternoon we stare at our Seagull friend (for 2-3 hours!). Marine and the seagull have a fascination with each other, haha! In the evening we LOVE to watch the sunset on the bimini or the nets of the catamaran! 4. What’s your favourite thing to do to? My favorite thing to do is go sailing to watch the Dolphins and Pelicans! I love feeling the ocean breeze in my fur! Marine’s favorite thing to do is eat her dry food and watch her Seagull friend in the Marina. She’s kind of boring…she sleeps too much! 5. Do you prefer spending time on land or on the boat? We definitely prefer being on the boat. We used to live in an apartment and it is so boring! 6. 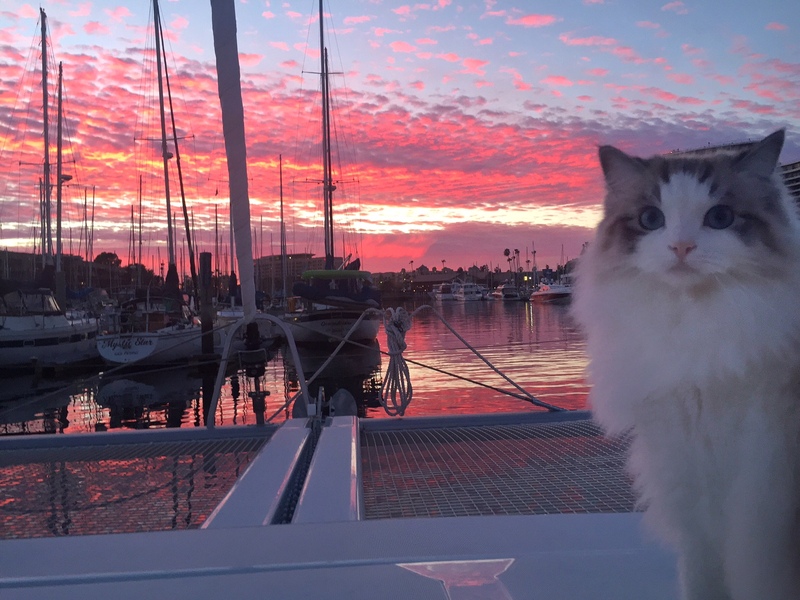 I would imagine that two beautiful boat cats like yourselves would attract a lot of attention… do you like meeting new furiends? There are 6 other cats that live on this dock, but we don’t hang out with them. 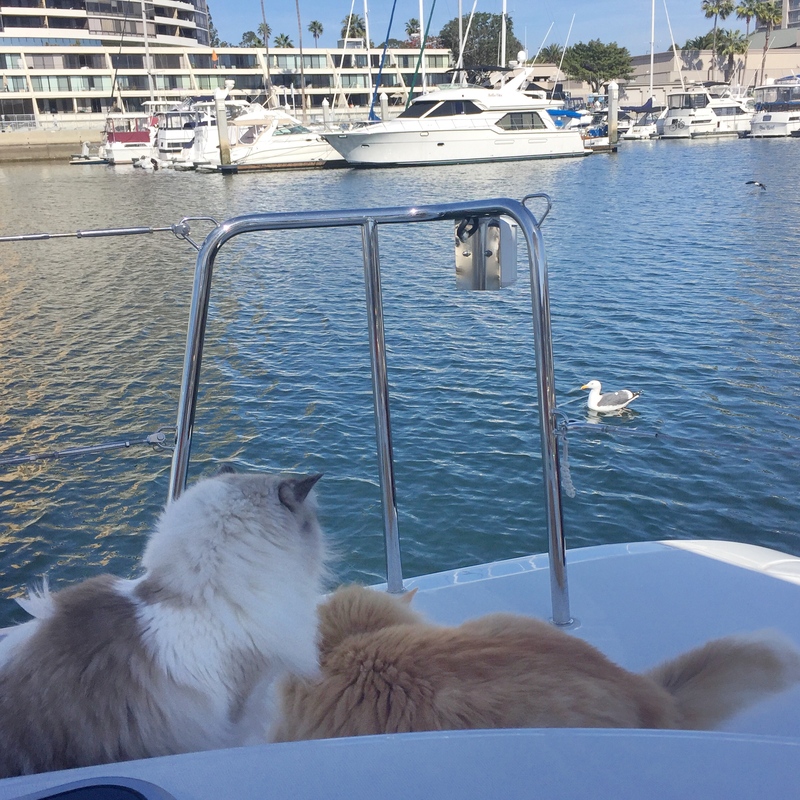 We are good kitties and usually stay on our boat and stare at them. Mom doesn’t want us jumping off the boat because we have both fallen in and that was scary!!! We also have many human/cat furriends on our Instagram page! 14,600+ followers. People riding by in the dinghy boats always laugh and stare at us as they pass by. They can’t believe they see cats on a boat. 7. Do either of you suffer with seasickness? Fortunately, no! We are very lucky! 8. What’s the strangest thing you’ve ever seen whilst sailing? When the birds dive right into the water and catch fish !!! We wish we could do that! 9. Who is the naughty one? What’s the worst thing you’ve ever done? Marine is the naughty one!!! She will be mischievous any chance that she gets! She goes into every compartment she can find. The worst thing she ever did was go down into the bilge! The worst thing I’ve ever done is fall into the Marina and I swam for 20 minutes before someone found me! 10. What do you think your next big adventure in life will be? 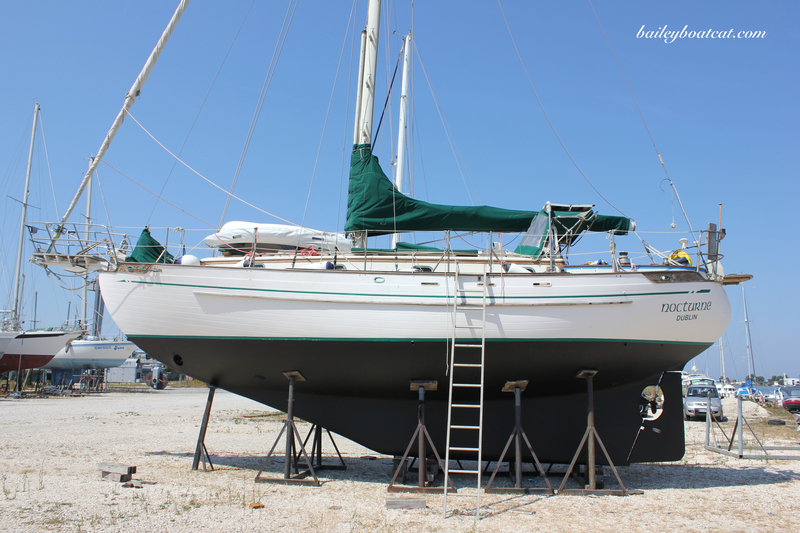 Our next adventure won’t be for a long time because mom and dad are still learning to sail, but once they are more experienced we are going to go on a big voyage to Tahiti and Marquesas with a big group of other catamarans! 11. What’s the most impawtant piece of advice you would give to anyone who’s interested in sailing? *Go for it and don’t be scared. There are so many fun places to explore and climb being on a boat! 12. Do you have a website or social media channel where we can follow your future adventures? Yes, Instagram is our favorite! We have lots of funny videos and photos there! Well thank you so much for joing me today it’s been a pleasure having you both. Also thank you to your humans for the pawesome photos of you both! 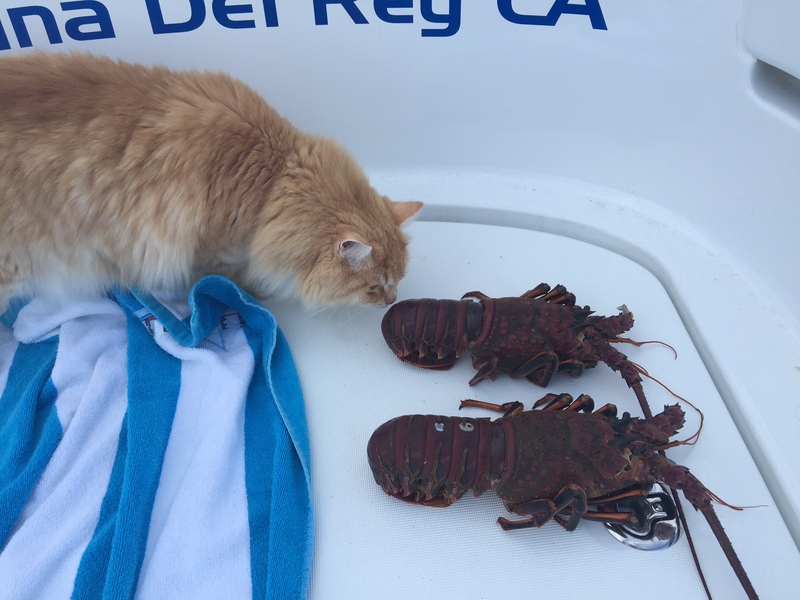 I’m very jealous that you got so close to lobsters… I hope to do that too one day! Furiends if you’re left wanting more of this adorable duo check out this purrfect video of the two of them chilling out on their boat! « Dad’s in the doghouse! SO nice to meet you Pumpkin and Marine! 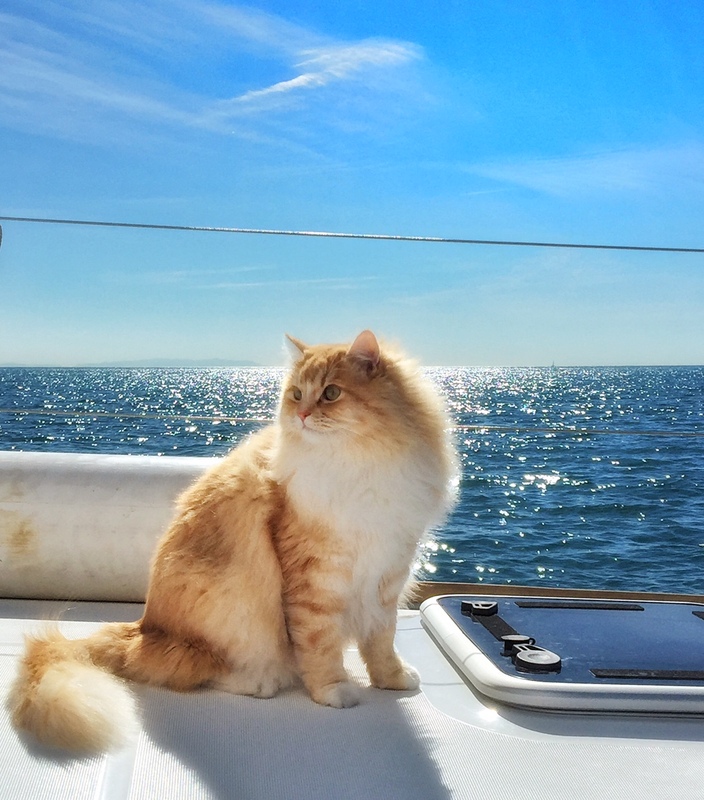 Sounds like you are true boating kitties like Bailey is. What fascinates me is that you can walk out on the netting safely! I hope you get to follow your dream for that fabulous trip you’re planning. We aren’t “Instagram-followers” but we do wish you TONS of fun and luck in the future!!! Gorgeous siblings! I wonder if they got to taste the real live dead lobsters? Nice to meet you and see you on your boat. Nice meeting you Pumpkin and Marine! Thanks for the great interview Bailey. Your new friends are quite beautiful! Bummed we don’t have Instagram! How fun reading an interview with these two – I already follow them on Instagram! My kitties were featured !! What a great interview! You two look very much at home on your boat. I hope you all take your trip of a lifetime and learn a lot on the way. Thank you Bailey for introducing us to Pumpkin and Marine! I wonder if cats ever get motion sickness while on boats???? Nice to meet you both, you are both adorable. I wish I had Instagram so I could follow you. These two are very brave sitting in the nets. There is no way Bengie would do that!